Original Thread: Where There's Life, There's Hope. 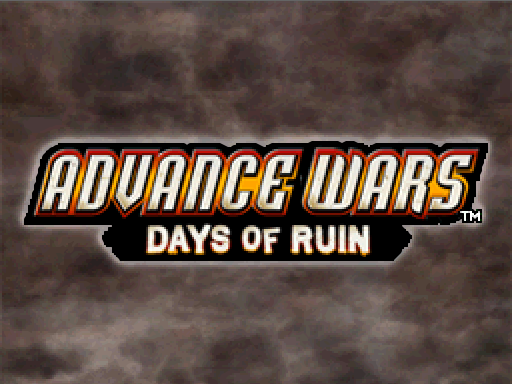 Let's Play Advance Wars: Days of Ruin! Advance Wars is a turn based strategy series created by Intelligent Systems, who are known for their other turn based strategy series Fire Emblem. Before Advance Wars came out, the series began in Japan on the Famicom, and the whole group of games is known as the Nintendo Wars. The Advance Wars portion was the first to be released outside of Japan, and (not too surprisingly) was based on the Game Boy Advance. This game takes a massive departure on the rest of the series, focusing more on the grittier, more disturbing aspect of war, over the rest of Advance Wars' cheesy, "war is fun" attitude. Why Advance Wars: Days of Ruin? I really enjoy this game. While it loses some of the cheesy charm of it's predecessors, it retains a lot of the gameplay. There is still a large focus on money management, and a huge portion is still dedicated to the rock-paper-scissors feel of the various units facing each other. There are some changes, mainly in how Commanding Officers work, and while it seems weird at first, it helps balance the game out a little more for the most part. What can we expect from this LP? I'll be going through the main story of the Campaign, showing off the good and the bad of the game. Should I choose to, I may also show off a number of the extra maps that get unlocked as I progress through the game. I'll also be trying to play the maps as efficiently as possible, getting as many S rank scores as I can. 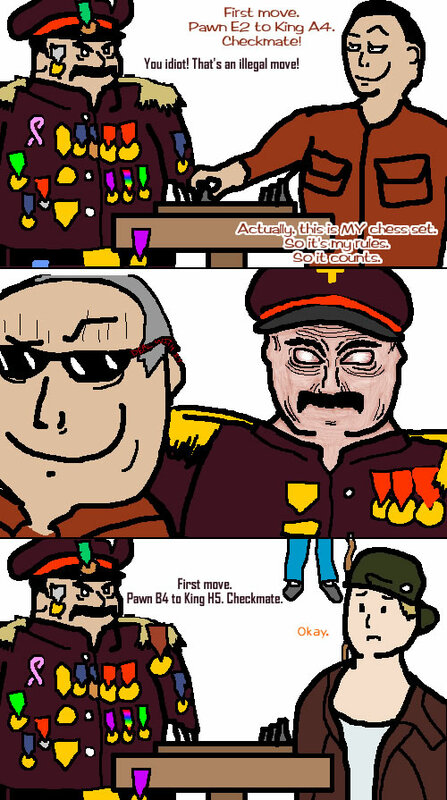 What rules for posting are there? For the most part, go wild. This game is very different from the previous Advance Wars. It didn't do as well, for various reasons. If you don't like it, great, let us know why as the game develops. The only major rule I'm throwing out right now is DON'T SPOIL THE STORYLINE. Because this game isn't as known as the previous Advance Wars, some may not know what the hell is going on. Don't be spoiling the last mission, enemy CO's, whatever when we're starting out. New units, terrain are fine, who cares if there's a newer, better tank. Don't reveal plot heavy crap. If we're a mission or two away from something, and you REALLY can't wait until I get to that point, throw it in spoiler tags. It's what they're there for. So without further ado, let's get into the game. Chapter 5: Oh Ho Ho! Chapter 12: Good Chowder, Man! Chapter 19: PRAISE BE THE WORM!